Several actors who have graced the Broadway stage � including Jonathan Groff, Dan Fogler, Liev Schreiber and Mamie Gummer � have been cast in Academy Award-winning director Ang Lee's forthcoming film "Taking Woodstock." According to Variety, Groff will star as Woodstock concert organizer Michael Lang in the film adaptation of Elliot Tiber's memoir about the historic 1969 rock concert that took place on Max Yasgur's farm in Bethel, New York. Comedian and "Daily Show" contributor Demetri Martin has been cast as Elliot Tiber, who offers his parents' upstate motel to serve as the planning-hub for the Woodstock festival. Eugene Levy will portray farmer Max Yasgur, with Imelda Staunton and Henry Goodman cast as Tiber's parents. The ensemble cast also features Mamie Gummer ( Les Liaisons Dangereuses ) as Lang's assistant, Tony winner Dan Fogler ( Spelling Bee ) as a local theatre leader, Emile Hirsch as a Vietnam veteran, Paul Dano and Zoe Kazan as hippies and Jeffrey Dean Morgan as Tiber's closeted lover. Tony winner Liev Schreiber is reported to be in talks to portray a transvestite in the film. 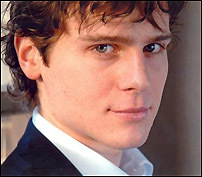 As previously reported, Groff, who currently stars in the Shakespeare in the Park production of Hair , will exit the production Aug. 16 to begin filming "Taking Woodstock." The film is aiming for a summer 2009 release, marking the 40th anniversary of the original festival.